Will Fake Rhino Horns Curb Poaching? rhino horn is valued in traditional Eastern medicine as a supposed cure from everything from fever to rheumatism, which has led to rampant poaching of all five rhinoceros species. A new company is engineering a synthetic rhino horn that could be indistinguishable from the natural kind. The goal is to flood the black market for rhino horn, which is prized in some parts of Asia for its purported medicinal value, according to the company, called Pembient. By decreasing the amount of money the horn fetches, the company founders hope to reduce the incentive for poachers in Africa to kill rhinos. As part of the process, scientists at the company are also sequencing the genome of the black rhino, which could help conservationists and basic scientists learn more about the imperiled creatures. The black rhinoceros population has declined by 97.6 percent since 1960, according to the International Union for Conservation of Nature. One rhino subspecies, the northern white rhino is in even greater danger, with just five individuals - all in captivity -remaining. Demand for rhino horns in Asia is fueling illegal rhino hunting. In China and Vietnam, the burgeoning middle- and upper-middle classes see rhino horn as a status symbol. Eastern medicine practitioners tout the horns as a blood cleanser, fever reducer, hangover cure and even cancer treatment, though there is absolutely no evidence that it has any medicinal value, Ellis said. As a result, 2.2 lbs. (1 kilogram) of rhino horn can fetch up to $100,000 on the black market, creating a strong incentive for poaching, said Matthew Markus, CEO of Pembient. To combat this economic incentive, Pembient workers are developing a way to produce rhino horn that is genetically identical to the natural kind. Rhino horn is made of keratin, the same protein in human skin, hair and nails. The team is inserting the keratin genes into yeast cells, which can produce the protein rapidly. Chemical modifications can then make the proteins align like those in rhino ivory, Markus said. Then, this slurry of keratin can be used as a powder or be 3D-printed into any shape, including a rhino horn. 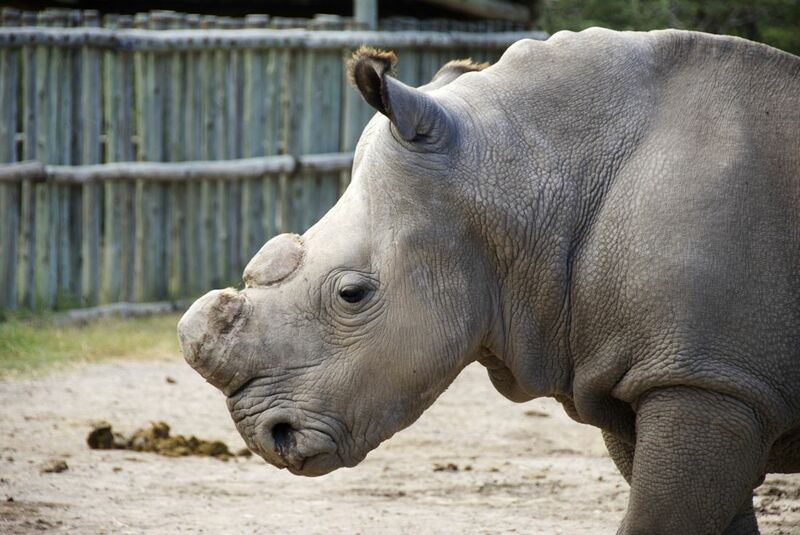 In a true rhino horn, the cells that make the keratin, called keratinocytes, sometimes leave traces of DNA inside the horn, so the team is inserting genetic information into the powder, Markus said. The researchers are also sequencing the genome of the black rhino. Other researchers will be able to access the genome, which the Pembient team hopes will aid in both basic science and the conservation of the animals, Markus said. The company hopes to flood the market with faux rhino ivory. If the rhino horn is indistinguishable from the real thing, they predict the price will fall. "We've determined we can do this for one-eighth the black-market price," Markus told Live Science. At that point, poachers will have less incentive to undertake the dangerous and illegal work of slaughtering real rhinos, Markus said. In the long term, Pembient plans to license its synthetic rhino horn and sell it as a powder additive to beers and facial creams. A few Asian companies sell similar products with powdered water buffalo horn. The hope is that poachers will also "get greedy" and decide to "cut" their product with the synthetic horn, just as drug dealers do, Markus said. Eventually, poachers may decide real rhino horn is too much trouble and stop poaching altogether, Markus added. But the idea could actually increase demand for real rhino horn, Ellis said. For one, the company is making a new market for the horn, because it plans to put it into products that now use water buffalo horn, not rhino horn, she said. In addition, "the production of this synthetic horn reinforces this idea that it has some medicinal value when there isn't any evidence to support it," Ellis told Live Science. What's more, flooding the market with the faux rhino horn may increase demand for it, Ellis said. "Ninety percent of the reported rhino horn in circulation right now is not real - it's buffalo horn or something else - but we still see poaching is just astronomically escalating," Ellis said. In addition, the method would create additional work for international customs agents, who would have to distinguish between the legal and illegal rhino keratin, Ellis said. It also diverts attention away from more tested approaches to combat poaching. For instance, when poaching was spiraling out of control in the 1980s, the United States threatened countries with sanctions, and poaching died down, Ellis added. Funding and training more wildlife rangers, getting local communities to report poaching, convincing purchasers in Asia that the product is worthless and even evacuating rhinos to safer locations are all strategies that have been shown to work in the past, Ellis said.